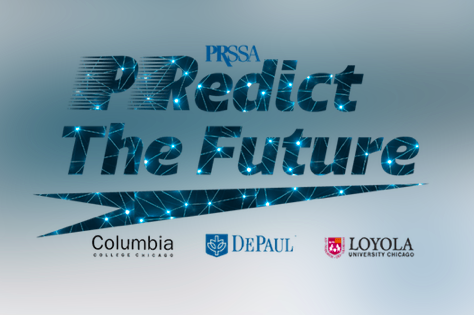 Columbia College Chicago, DePaul University and Loyola University Chicago Chapters of PRSSA have joined forces to bring together two days of awe-inspiring events for students across the nation! “PRedict the Future” was made by students for students who are driven to be leaders of the public relations industry. The three schools are coming together for a feat that is the first of its kind: a Regional Conference dedicated to the three most timely pillars of the public relations industry — diversity, ethics and globalization. As company culture becomes an increasingly important attribute to college graduates, the three schools will tap into their networks to help conference attendees launch their Chicago network. This conference will be an opportunity for employers to showcase why diversity, ethics and globalization are important to their organization and how they are implementing these themes through world-class site visits. Breakout sessions will highlight successful multicultural and global campaigns and best practice sharings around these pillars. For more information and to purchase your ticket, check out our website here. 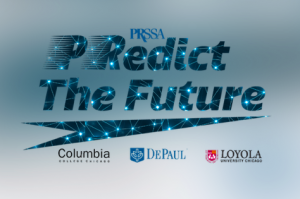 “PRedict the Future” also will be hosting a panel discussion and speed networking event for the first 60 students who are heading to the Windy City on Feb. 28. The pre-conference reception will be held at Cision headquarters in the historic One Prudential Plaza. The night will begin with a panel discussion followed by a speed networking event. Guest speakers will include Starcom-, Edelman-, and Cision-employed professionals. The panelists will discuss their career journey, diversity, ethics and globalization in the public relations industry. There will be sponsored refreshments, food and entertainment. To attend the pre-conference reception, you must reserve a seat via this attached link. 2:30 p.m. End of Conference. Enjoy Saturday Evening and Sunday in Chicago!